Grab lawn seats and pack a picnic and cocktails for your favorite band or musical. Lawn seats run from $20-30 depending on the night and performance. 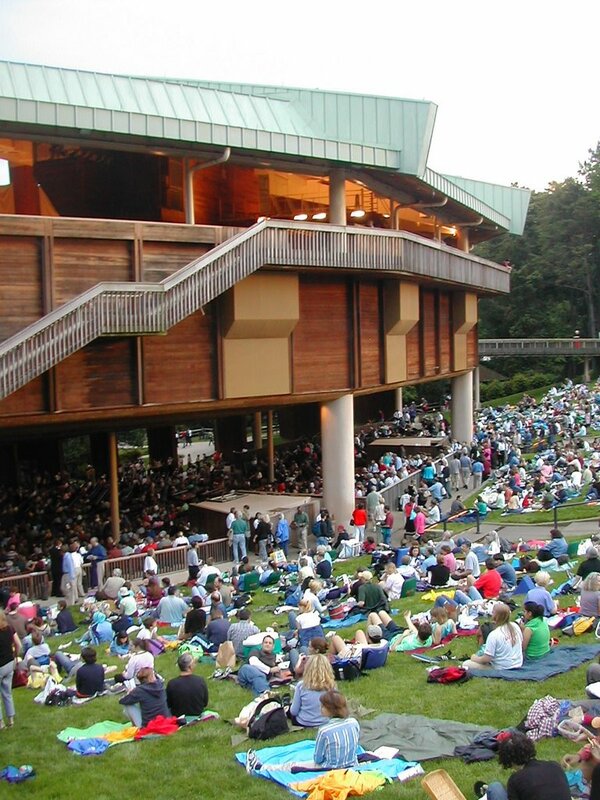 I go to at least 2-3 Wolf Trap events a summer and have seen the likes of Seal, Earth Wind and Fire, and Legally Blonde all while sipping wine on the hillside. Loudoun County is known as DC's wine country. As someone whose family ran one of the few vineyards in northern Virginia in the 80's and 90's I can't believe the number that have been established in the past ten years! You have plenty to choose from but Bluemont has great views and Breaux (voted the county favorite again) has a great cajun festival. A coffee shop, cafe, and bakery rolled into one, South Street is a beautiful place to sit outdoors in downtown Leesburg. Their ciabatta bread is to die for, not to mention you can walk a block up the hill to shop in great boutiques. My favorite meal is the tuna melt and tomato with a Pellegrino. A Korean bakery with amazing prices! Bring your reusable shopping bag because you're going to want to try everything. The best advice I can give is to try anything that looks interesting and share with friends. This is one of the most hidden gems in the area. Tucked away in an underground cafe in historic horse country, pick up these homemade marshmallows along with ice cream or a panini. "A modern American style, paired with Certified Naturally Grown and organic produce, organic, wild and natural meats, sustainable seafood and a broad assortment of wines, including organic, biodynamic, and vegan, provide an exceptional dining experience." The farm also offers cooking classes if you're looking for a great gift. The dining area is quite a drive but the view overlooking the Potomac river is wonderful. LVHMA runs summer markets located in Ashburn, Leesburg, Cascades, and Brambleton. The markets are "Producer-Only" so the people you meet are the ones who grow the product! This is where we buy our stevia plants along with orange and chocolate mint plants. Yum! Completed quite recently, this small market is also a 45 acre certified organic farm. The market and farm also offer a CSA program focusing on heirloom varieties. Go for the kettle corn and the local ice cream! After a decade of yearly attendance to this colonial fair, I've finally learned that it's just better to buy two large bags to take home. The fair takes place in the midst of beautiful historic houses and colonial art demonstrations in October. Visiting NoVA? Tell me where you go!